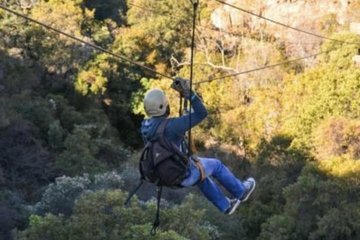 Explore the Maliesberg Mountains on this private tour through the jungle canopy via zipline. With all equipment and instruction included, even beginners can enjoy this activity. After your adventure, enjoy a light lunch before returning to your hotel for drop-off. Booking a private tour means personalized attention from your guide as you travel.